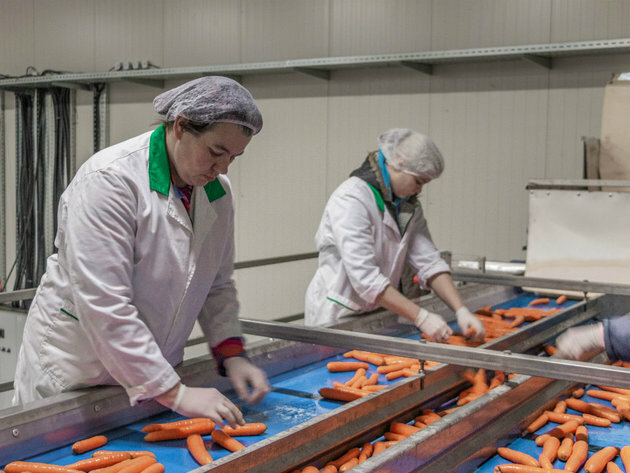 Carska Basta Zrenjanin has a new line for the washing and packing of carrots and will soon start producing. As the company told our portal, the capacity of the line largely exceeds their needs at the moment. – The plan is to find foreign clients and for the potential of the line to be fully utilized. We are also switching to a larger cooling plant of 3,000 m2 on the town's periphery soon. The company took part in the Berlin Fruit Logistica fair, which was held between February 6 through 8. Carska Basta was founded ten years ago in an attempt to have vegetable farmers in the area join forces and enter the market as a single entity. Six families from the Muzlja community made the first steps and pooled their capital. 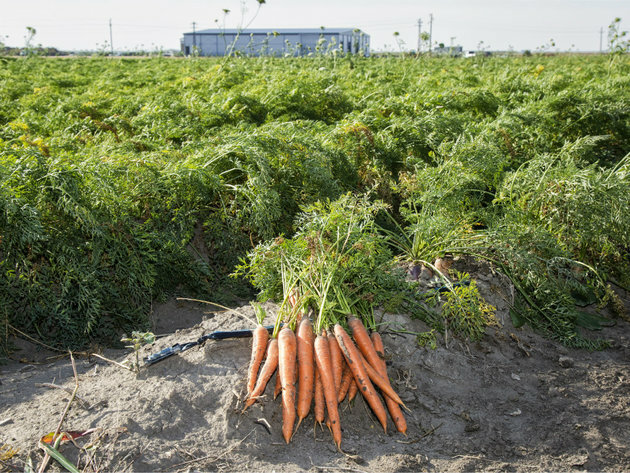 In addition to carrots, Carska Basta's products include root vegetables, potatoes, onions, vegetables in the cabbage family, peppers, lettuce... Still, they say that their aim is to narrow down their range of products and specialize in carrots and peppers. Their plant stock facility should help them in this endeavor. – Quality plant stock and uniform technology will have an impact on the end product. When the quality of our producers is combined with the modern packaging of Carska Basta as the integrator, we get a product that we believe meets the parameters that the foreign market requires. Carska Basta got the money for the construction of the new 3,000-m2 cooling plant with the line for the washing and the packing of carrots and for the equipping of glass greenhouses with modern plant stock technology for its tenth anniversary from the Hungarian government, through the Prosperitati Foundation. They say that the advantage of vegetable farming is that there are two and a half production cycles in a single year, so if a product has a low price at the moment, the price might go up in the next cycle. – Consumer power in Serbia is low due to the low living standard, the prices are low and our prices are formed accordingly. Production inputs, such as seeds, come from abroad, so the profits are very small. A large percentage of first-class products need to be produced and one should have luck in forming the prices. Furthermore, workforce is a great problem, as the price of labor is increasing and there are fewer and fewer workers. We expect and hope that this field will stabilize. The situation now is chaotic, as prices can drop or rise quickly, and we never now when we will be left without workforce. They cooperate with around 200 subcontractors/producers, which entails the production on 300 hectares of open space and 20 hectares in plastic greenhouses. Around 80 people are currently employed at the company. Carska Basta's products are primarily available in Gomex stores. – They are our main partners and we fully supply their demand for fresh fruit and vegetables. There have been cases where we exported, but we haven't had sufficient quantities for a continued export. As they say in their interview for eKapija, their aim is to have the subcontractors standardize their operations, so that every product is of uniform quality.